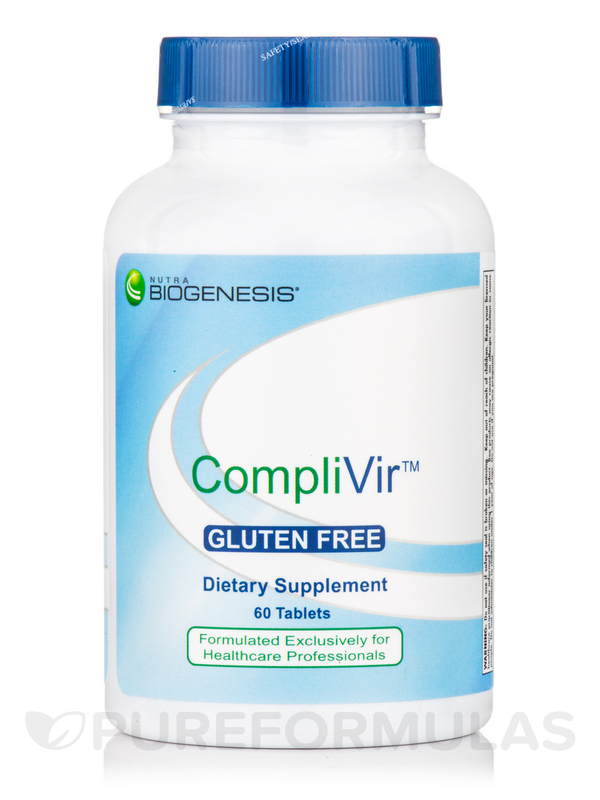 CompliVir™ is a powerful immune-boosting formula combining monolaurin‚ zinc‚ propolis and standardized botanical extracts. 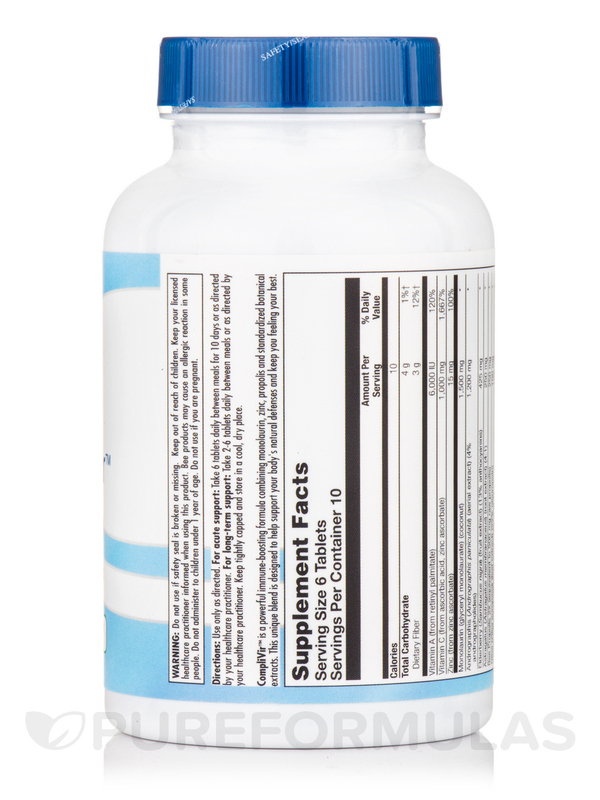 This unique blend is designed to help support your body's natural defenses and keep you feeling your best. 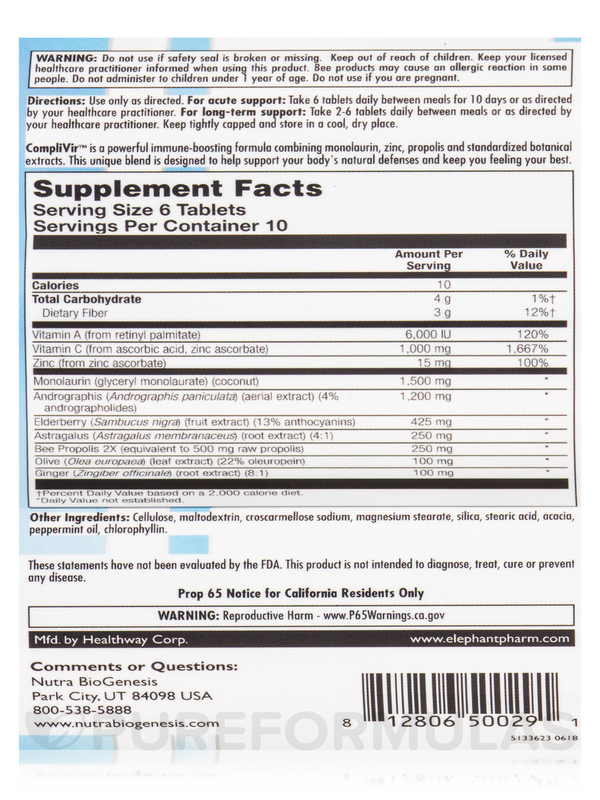 Other Ingredients: Cellulose‚ maltodextrin‚ croscarmellose sodium‚ magnesium stearate‚ silica‚ stearic acid‚ acacia peppermint oil‚ chlorophyllin. 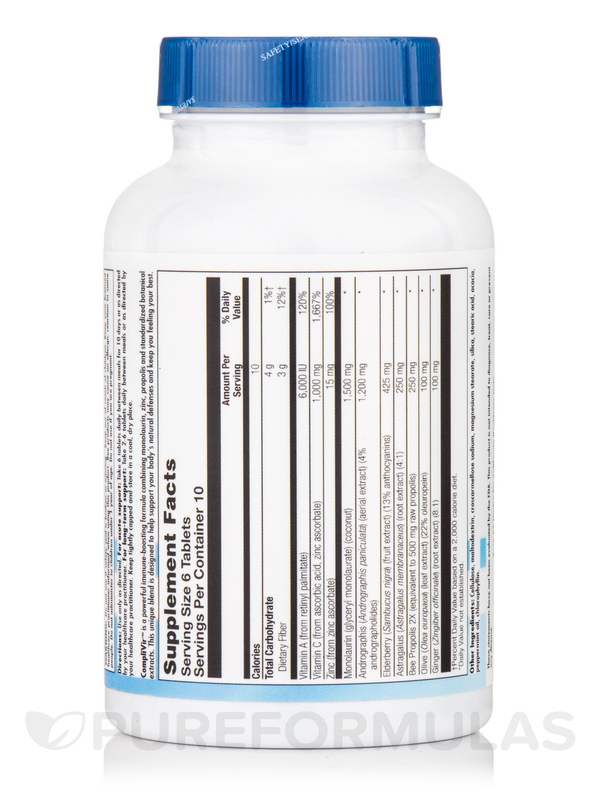 For acute support: Take 6 tablets daily between meals for 10 days or as directed by your healthcare practitioner. 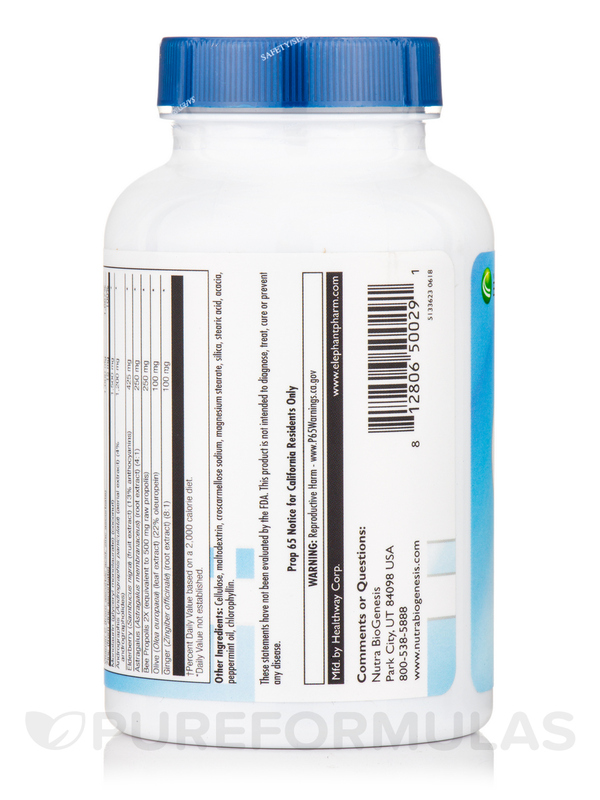 For long-term support: Take 2-6 tablets daily between meals or as directed by your healthcare practitioner. Do not administer to children under 1 year of age.